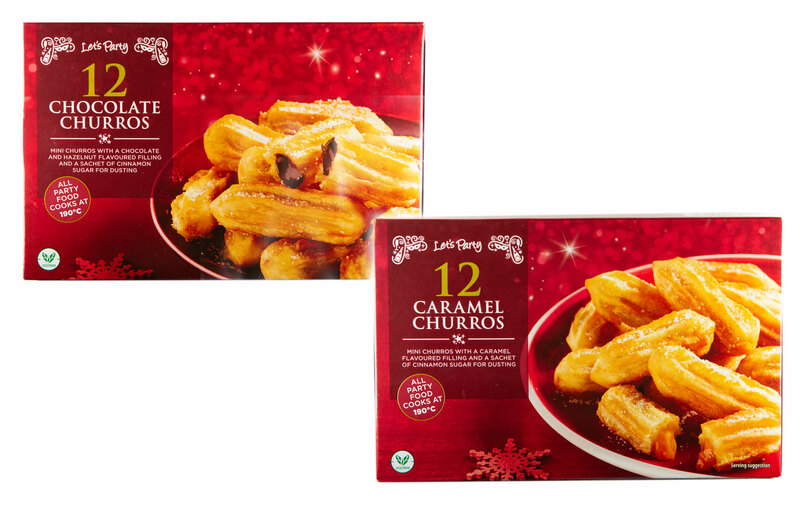 Aldi have bought back their sweet chocolate and caramel churros and they are perfect for the festive season! We’ve said it before and we’ll say it again, Aldi are answering all of our Christmas dreams this year. From the foot-long pigs in blanket and the Christmas dinner wellington to the Aldi wine advent calendar and salted caramel mince pies – they are ticking a lot of our boxes this year. But just when we thought they couldn’t excite us any more, Aldi announced the return of the chocolate and caramel stuffed sweet churros. That’s right, these mini churros come in two different flavour variations, chocolate and hazelnut and caramel and each come with a sachet of cinnamon sugar for dusting. Simply pop in an oven preheated to 190 degrees and these delicious treats will be on and off the table before you know it! Be warned though, the sweet smell that’s sure to fill your house is going to attract a lot of attention so we suggest stocking up with a few boxes of these churros so there is plenty to go around! At just £1.69 for a box of 12, entertaining for your friends and family couldn’t be easier. If all this talk of churros is making you hungry, you should also check out Morrisons savoury cheese churros and organise yourself a churro feast! Plus, it’s not just Aldi’s festive food that has caught our eyes. If you haven’t already looked at Aldi’s top Christmas toys for 2018 you need to take a look at the £30 electric ride on scooter and the adorable wooden kitchen. Have you already started stocking up on your favourite festive Aldi buys? What is going on your shopping list? Is there anything else you wish they would bring back? Head over to our Facebook page to share your thoughts and any tips you have on how to get your hands on all the best Christmas deals!